Chef Chad Newton's take-out counter, where he serves burgers, chopped salads and soups, is next door to his restaurant, Fish & Farm. americanboxlunch.com. Photo © John Benson Photography. 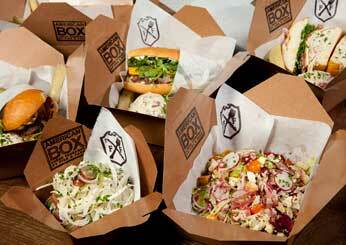 Chef César Ramirez (formerly of Bouley) teaches cooking classes and sells boxed lunches. brooklynfare.com. 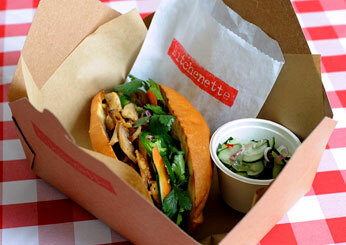 Photo courtesy of Brooklyn Fare Kitchen. The food is more California than Asian, but it does come in a bento box. labento.com. 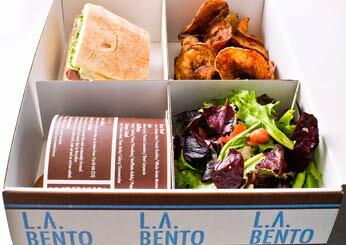 Plus: More Places to Eat in L.A.
Photo courtesy of L.A. Bento. A former Cook's Illustrated editor (and Culinary Institute of America grad), Charles Kelsey, serves homey snacks like pimento cheese at his Brookline sandwich shop. 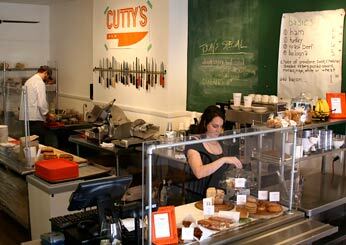 cuttyfoods.com. Douglas Monsalud enlisted cooks from spots like Chez Panisse to help him create ever-changing menus at his two locations. kitchenettesf.com. 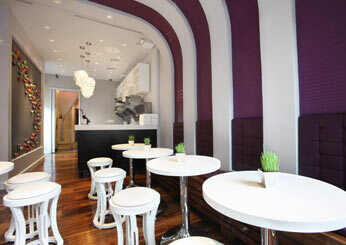 Jean Georges alum Angelo Sosa's Asian riffs on sandwiches include a lobster roll made with Japanese Kewpie mayonnaise. xiexieproject.com. Photo courtesy of Xie Xie. 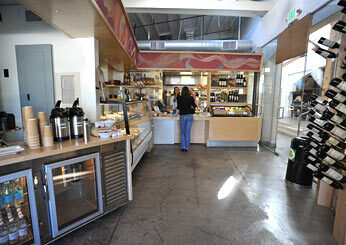 This Culver City spot serves modernized deli salads (like beets with pickled onions) from Mark Peel of Campanile. thepoint-la.com. Photo courtesy of The Point.